Dean Walsh is an award-winning practitioner who has established a career spanning across two decades. As the recent Australia Council Fellow in dance (2011 – 2012) his research, Prime: Orderly, fuses dance with the physics associated with scuba diving as well as the physiology of particular marine species – their internal and their external bio-mechanics. The creative concepts and thematic base he uses in his work are stimulated by environmental / climate change and extinction issues, with specific focus on researching marine habitats and their bio-diversity. Dean and I first met in 2002 in Adelaide when he was a guest dancer with Gary Stewart’s Australian Dance Theatre. I had just graduated from the Centre for the Performing Arts and took great interest in Dean’s work as a mature dancer with a difference. Several years later I joined the cast of the first stage development of Dean’s ensemble work, Back From Front and then (forward the clocks another 7 or so years), during my time as Artistic Director of Restless Dance Theatre, collaborated with him and a cast of professional dancers with and without a disability. Our relationship continues to build through our work with the Catalyst Dance Masterclass Series and Dance Integrated Australia. This interview was commissioned by the Editor of European fashion magazine, Posh Sauvage. Where did you grow up and go to school and what was family life like as a young boy living in the country? It’s always been interesting when I’m asked to describe my family life growing up. I used to dread it because I felt ashamed that it was mostly hellish. Nowadays though I wear it proudly. It is what has shaped me and from whence I came and nothing can change that. I started to empower myself with thoughts that anyone who can’t handle hearing it is not meant to be in my life’s passage anyway so I’ve nothing to lose in telling it as it is and keeping it real. I grew up all over the place. Moved way too many times and changed schools too many times. My father was very restless and both my parents married too young (had to, as mum was pregnant with me at 17!) and they themselves were from very messed up childhood situations. Both were capable of immense anger… and terrible sadness. Messed up, with no chance at growing up, they bashed each other silly (and scarily) into some truly awful episodes of domestic violence. Dad was a wild card and mum knew how to play him except for times when she didn’t and the police would be called in. So moving all the time became this attempt to start again. Always this empty promise of “things will be better in this new place”. Each time they chose to start again, so too did my brother and I have to start again at new schools. Then they divorced in a maelstrom case to rival the best Greek tragedy and we ended up with mum after an eight-month stint with dad. At first this all seemed great but then a new man entered her life who made dad seem like a saint. Connected to the Sydney underworld, he was in every way cruel, cunning and predatory. His alcoholic violence was a thing of adrenalin inducing horror, including weapons, etc. I had a baseball bat and golf stick under my bed for times I needed to use them to ward him off. Trying to study for homework was not often an achievable thing. And my closed bedroom door offered no indication to him that his advances in the middle of the night were utterly unwelcome. I left home at 17 to live with a good friend but I constantly worried about my mothers’ safety. My brother had left home when he was 14 to become a Jackaroo on a remote station in the middle of outback Australia somewhere – a pattern he held for nearly twenty years to find himself. Eventually the predator was put behind bars for a couple of years found guilty of other crimes outside our home. There were attempts to take him to court years later but every time I’d go through the motions I kept thinking, “Do I really want him in my life again and to go through cross examinations where there’s no sure-fire guarantee we’ll win? What if he wins, such is the judicial system’s unpredictability sometimes? Then he will have won twice.” So I finally left it alone to sort out other ways to lessen his hold over me and to exorcise his putridity from my heart and mind. Then it was about learning how to use all these hard won lessons for the greater positive good which is why finding dance was not only a blessing but a life safer. You’re like a father (or uncle) figure to your two young half-siblings. Are there any differences in the way your brothers are parented now then when you were in the 70’s & 80’s? Do you see yourself in your brothers in any way? Yeah, I’m a big brother from another mother to two beautiful boys, but I’ve definitely been a father figure to them as well as I’m three times their age! My biological father died of cancer in 2000. My stepmother, who is only seven years older than me, finally left him because of violence. She then went on a mission to find me – (I had estranged my father years before for his extreme homophobia). One day she came across a large photo of me in a Sydney paper in a review of my solo Grounded on Air and came to see the show. As I walked out post show, there she sat quietly and calmly in the corner of the courtyard of The Performance Space when it was still on Cleveland St. The first thing she said to me with tears in her eyes, our ‘truth water’ I call it, and with a choked, quivering voice, “Oh Dean! The things I now know! How can I begin to say I’m sorry? Please, can we talk sometime?”. She also told me I had two half-brothers aged four and five who’d really like to meet me. We all met a few days later in a park and played soccer and cricket and laughed and it was the most joyful afternoon I could remember having with family since I myself was a young child. What I loved most was that I could sense the blood connection deeply and profoundly and they both looked like my brother and I. It was like viewing he and I as young kids again and I thought, “Wow, a chance to bring up two young boys, related by blood, in a way I’d wished I had. Through love, encouragement, laughter and adventure.” The time with these kids has been infinitely more rewarding than anything else to date. They are real hope to me and offer a chance to have a relationship with my father posthumous that is based on positivity and acceptance. So what led you to dance and where did it all begin? I was working as a roofing waterproofer in my uncle’s company earning pretty good cash for a 17 and 18 year old, but, I hated it. I felt utterly lost and had to hide every real aspect of who I was and this wasn’t the best thing for a kid already so lost. I was however doing a lot of my visual art work and selling some and also surfing a lot and some of the guys I met whilst surfing were pretty sensitive. Then a girlfriend of mine who later said, “I always knew you were gay”, took me to see a show by visiting UK choreographer, Michael Clark, the then ‘infant terrible’ of the international dance scene. It was a ballet company with a punk edge… a very punk and also sexuality-liberating edge! I remember being transfixed the entire time. It was my epiphany and I was having a very big one! I turned to my friend and said, “I want to do that! How do I do that?” That’s when she gave me the address of the Bodenwiser Dance Centre on City Rd in Sydney. It took me 6 months to drum up the courage to go and attend a beginners contemporary class with the phenomenally talented teacher Margaret Chapple, who took me under her wing and I nestled right in! The scene must have been something to behold though. A young 20-year-old man enters a dance school with 98% occupants being women or young girls. He is covered in black and silver roof waterproofing paint, (probably highly toxic!) dressed in work boots, he approaches young girl at front desk who is sporting a hair bun pulled back so tight that blinking must have hurt. He asked for the director because he’d like to do a dance class. Director overhears him and immediately jumps to attention ushering him deeper into the belly of her school. She encourages him to wear some black modern dance tights, which she just happened to have in storage and away he went crashing and colliding into just about every other dancer in the room. At the end Margaret said, “You did very well. We’ll just need to work on those arms of yours… they’re potentially dangerous to others but you have talent and, by the looks, a lot you need to express!” He was so excited he forgot to take his tights off and hurriedly said, “I’ll be back tomorrow” then flew out the door. Why didn’t you choose to attend one of the big Australian tertiary dance courses like the VCA, QUT, WAAPA or CPA in your formative years of training and if you had your time over again, would you have chosen this route? How has your life experience shaped and guided your independent dance career? Well for at least the first fifteen years I was trying to understand myself in a world (the dance and performing arts world in Australia) where I just felt my full on background had no context or no sense of place to lay my hat, my hard hat if you will. No place to find the familiar and to be able to reveal it, out it, discuss the social ramifications of it or how I might be able to choreograph elements of it and express another reality than the ones I was constantly seeing on stage. It was really odd. Here I was launching into a field of physical expression but was often asked, “Can’t you just leave that awful stuff behind?” What, at 25 years old? I’d often think, “Well, can you leave your ‘stuff’ that has so pivotally shaped you, behind? So when I was asked to make a solo for a performance season at The Performance Space in 1991 I jumped at the chance. I was encouraged to make a work that expressed my own needs. That piece, Subtle Jetlag, choreographically and performatively articulated my reality and a lot of people took notice. I was asked to make solo works for numerous seasons and established contemporary theatre directors and choreographers at the time started inviting me into their work. My career was starting to become defined as a solo dance-performance maker as well as a member of ensemble casts in work that was always edgy, innovative in its form as well as entertaining and most definitely intelligent. Works that questioned social norms and made people talk. So I turned away from conventional dance quarters pretty early on and moved instead into contemporary performance and queer political performance and some performance art installation work but never once ceasing to maintain my physical training in dance. Instead, I aimed to become as virtuosic as I could technically and take that expressive form into diverse performance forums and break down all the walls I felt existed in what dance ‘should’ or even ‘could’ portray and how it ‘should’ do so. I screamed and push the guy off me, became a whirlwind of fists and kicks, calling on everything I’d learnt saving my mother countless times years before, surprised them all, surely cracked a few jaws in the process and then other men around helped me and my friend escape from the group as police came riding over. This incident fuelled many works that commented on homophobia, masculinity, gender stereotypes and the duality that had been awakened in me as a man. I could be feminine and was naturally sensitive but beneath this lay a testosterone injection and a learned behaviour that would defend to the death if needed. The first piece I made with this in mind was called Porcelain Steel – delicate, potentially fragile but with a steel fist beneath. My mother was also capable of this duality so I channelled aspects of her for this piece as well. Porcelain Steel was one of my most popular works in the nineties and went on tour several times throughout Australia and in the UK. For a number of years there everything I was going through personally, in terms of struggles with family dramas, inner demons, flashbacks and social interaction, I was looking for ways to craft into dance performance works that were both raw but virtuosically danced and choreographically suspended so they could be entertaining, even humorous, as much as they could confront. They were always talked about. Then in 2002 I got the Robert Helpmann Scholarship to go and work with DV8 Physical Theatre in London and some independent artists in Europe. The next few years was all about learning new ways of making dance performance works and embodying new dance techniques. On returning to Australia in 2005 I finished making my first large scale group work Back From Front which was, in many ways, a culmination of conceptual material I’d previously explored in solo format but now cracked open to a wider treatment of the themes. In 2002 you won the Australian Dance Award for Most Outstanding Performance by a Male Dancer for your role in ADT’s Age Of Unbeauty and in 2005 you were nominated again for your solo work Grounded on Air. As an independent dancer most of your career, can you tell me what winning that award meant to you? Awards give a certain acknowledgement of achievement and I guess, to a degree, they help with kudos. Interesting that I’d just performed a 70-minute solo co-commissioned by OneExtra Company and the International Gay Games Festival a few months later than the company show for which I won the award. My own work, a really substantial piece, my seminal feature-length work called Flesh: Memo and a major international commission meant so much to me and was a huge personal and performative achievement but it didn’t get a look in at the awards. So I accepted that award secretly on behalf of Flesh: Memo as well. The Australia Council Fellowship in Dance (2011 – 2012) allowed you to expand upon your choreographic scoring system ‘Foreign Language’. Can you briefly talk about that and where you’ve arrived in your research now? Foreign Language, now more aptly called Prime: Orderly is a developing choreographic scoring system. As with music you can also write scores for dance that define particular outcomes through embodying specific modes or morphing one defined mode with another to see what comes in order to compose movement passages to reflect meaning – directly or more poetically. The Fellowship allowed me to spend two years to experience a lot more scuba diving, meet more marine conservation people, purchase my own equipment, progress my certification and to talk to marine biologists and other experts about marine species physiology and behavior and gain more knowledge of other specific environmental research. All this research was then fed back into hundreds of hours in a large dance studio at Macquarie University in Sydney with highly skilled and experienced dancers / choreographers and some marine experts. The idea was to develop a system of movement codes based on my previous twenty years choreographic experience and to merge all this with the last six years of my developing interest in all things aquatic, especially marine species and how they function and connect with their particular habitat. The aim of this is to construct a choreographic template of physical language that scientists and other environmental experts could also relate to. So the system will serve as a means to create future interfaces between my dance practice and dance collaborators, scientists and their researched and marine conservation with the view of making new dance works that promote awareness of a realm we know so little about. Being of the body and choreographic, works won’t always be so directly political but also sometimes deeply personal to the people investing creatively in them. I hope that they’ll also be celebrations of returning our focus back to nature, as we make advances towards new technological futures. That we keep the sustainability of nature paramount within our human, land-based progress I guess. It feels to be that we’re approaching an age of change towards standing up against systems that are ruinous rather than sustainable. Now that’s creativity! Tell me about ‘neutral buoyancy’ in relation to your work under water? Neutral buoyancy is the most prized state one aims to achieve during scuba diving. It’s environmentally friendly because it teaches you to also stay off the reefs, to hover above without harming habitats. It is a state of near total weightlessness. I say near because when we’re under water we’re still affected by the forces of gravity, in that we are wearing weights in order to descend and would keep doing so if it weren’t for our BCDs – (buoyancy control devices). These are devices our tanks are connected to and that we wear and rely on completely – they are our life support system down there in fact. They can be filled with air from our tanks and this is what sets off the neutral suspension in that inner liquid space. Complete weightlessness can only be achieved in an anti-gravity chamber or outer space but this is the next best thing. I know they also train astronauts in SCUBA (Self-Contained Underwater Breathing Apparatus) to get them to understand gravity and working without it. Neutral buoyancy is achieved through the offset physical state between total sinking (negative buoyancy) and total floating (positive buoyancy) and one gets very good at controlling the subtle suspension in this through our devices and knowing how much air to give or release spontaneously. Then the fine-tuning is achieved through our lung capacity. Breathing in displaces the environment around you and causes you to ascend a little and breathe out replacing the environment around your body’s surface, which in turn causes you to descend a little. It’s like being suspended mid-air like a hummingbird only we don’t even have to propel wings. It’s a sense of flying but with lungs instead of wings. I love this integral tuning into and reliance upon an environment via our entire bodies and technology. Such a spell-binding fusion between prehistory and future potential. It is indeed a craft to become good at achieving neutral buoyancy well, where one doesn’t need to use their hands (sculling) at all and very rarely even needs to use their fins to hover motionless in space. 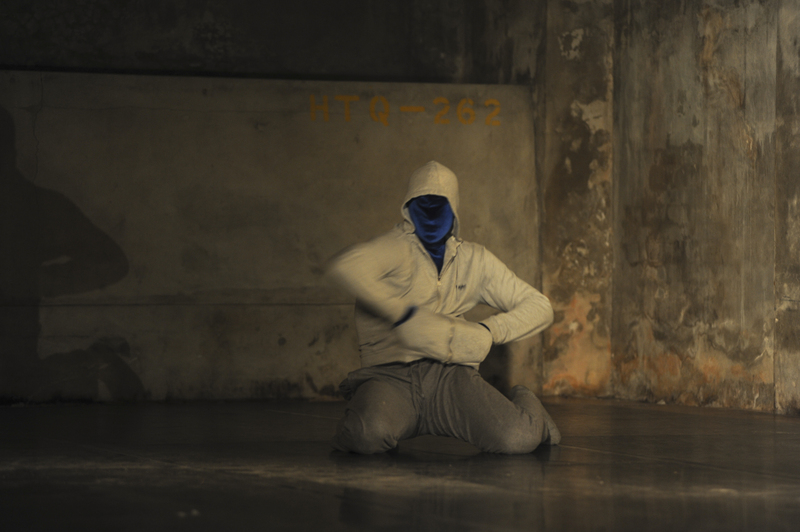 It’s a discipline to become accomplished in these techniques, just as it is in dance, where one builds a relationship to space so intrinsically through physical application and spatial awareness. Scuba diving, as with free diving (diving without a tank with breath held up to 8 minutes as I think the record stands), are not only sports, they’re an Art and they can definitely be an act of conservation and environmental study. The Art of complete environmental immersion and a dance with weightlessness and buoyancy. There is a sensorial aspect to it so strong that it demands you tune into it and experience its nuance as well as the obvious information coming at you. It is also utterly of the moment and utterly reliant on sensitivity that one can’t always articulate nor often wishes to. It is for the reasons I also find it immensely poetic and therefore an Art. The act of descending from surface to 30 metres depth is one of my favourite moments in a deep dive. It’s like liquid skydiving! Especially when you can’t see the bottom! Just you and 2 kms or more of water below. A blue universe! Some people even suffer slight vertigo it is so similar in sensation to free falling from a plane. So neutral buoyancy is a state totally without impact, whether in a group of people or with just one other is a uniquely intimate experience to have with loved ones or even complete strangers. sound is also filtered differently, sounding sharper but more resonant and reverberates through you. The liquid environment is integrally connecting you to the other divers and marine species around you as you share the same pressurized space with them and an immediacy of sensation at that atmosphere. Sometimes when I dive within a group where we’re all of a more experienced level there’s not as much need for constant communication. Everyone has communicated the planned dive on the boat and so, relying on your dive computer and compass and your discipline to adhere to the group plan, you can experience this incredible privacy whilst in a group… our little group and the big, big blue around us. On occasion we’ll look around to be sure we’re all OK, we might playfully somersault or trim (cruise) face up to check one another out and give the all-clear to proceed deeper, no hurried action, all in silence, all in suspension and all in utter weightless sensitivity of the groups immersed experience. Like a dance in a water sky. My affinity with oceanic open water or shallow reef environs is cellular… I’m certain of it. I’m convinced that when I dive cellular memories of being a pre-primate ocean dweller are somehow ignited. Brought to the fore ground of sensory experience. It is also an emotional affinity that feels utterly tied to the feminine and our first formative 9 months of in-utero life where we breathe, suspended without the outside, or above, terrestrial impact of life. And of course, my affinity with being totally immersed is a profoundly physiological one. It keeps me so absolutely in the moment for an extended period of time (30 – 70 mins) than anything I do on land. It also encourages sensitivity among people and strangers feel like sudden friends post dive and conversations are full of environmental experience and species we witnessed, free in their own wild. Conversation based on this experience feels easy and real. Something shared, a genuine and agreed passion. The ocean experience connects people in ways terrestrial living cannot. It also encourages sensitivity among people and strangers feel like sudden friends post dive. What’s been your experience of working with people with a disability? Simply, it has been a brilliant challenge to my perceptions. Working with people with a disability keeps me on my toes creatively and personally and I am constantly touched by their sheer will to live life fully and the adaptable scope to everyday situations others take for granted. They (people with a disability I’ve worked with) have much to show humanity about being human and being inclusive, slowing down and sensing and celebrating the vast diversity we have among us. Now that I have been working in this area for a few years, I just can’t believe how invisible some people are to much of society so I am right behind the push to make the arts more integrated. I love being a part of the integrated dance and performance practice that seems to be growing leaps n bounds in Australia. I have come to see it as ‘dis’ nothing but more like diverse-ability. In the workshops, classes and rehearsals I have led all I see is difference, not indifference, to celebrate. It is a challenge only because we’ve made it a challenge by not previously integrating so we are hit with a whole other interpersonal approach that scares us because we don’t know what to do. Time to learn I reckon. A good part of human evolution comes from our ability to learn about one another and to change for the better. We all have a purpose that can either serve the greater heights of human evolution or plunge us into depths that seem barbaric. Integration of all people fairly must be surely evolving us, however slowly, into new heights of our collective self-awareness. Time to soar out from the shadowy corners on so many levels if we’re to keep calling ourselves a sophisticated species. Tractors, fast cars or a wetsuit – what’s your preference? A fast tractor in a wetsuit… a tractor that is really a submersible pressurized to withstand depths of 2,000 metres (2 kms) down. I want to experience the abyssal plains and the deep dark inner space of prehistory. To be suspended among our most ancient genetic ancestors.